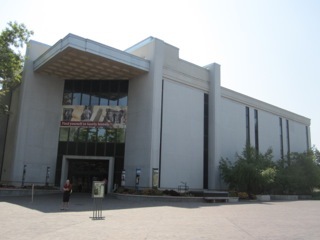 Home » Family History Library, Salt Lake City, Utah, U.S.A. This article has been kindly provided by Mr Devendra Singh who Traced his root back to India using the Information provided in terms of a copy of the National Archives record of Microfiche films on the Arrival of Indians in Fiji. I would like to convey my sincere appreciation and gratitude to Mr Singh for his contribution. Fijian people of Indian descent can trace the details of their family history back to India by gathering detailed information about their ancestors’ emigration activity and then requesting the emigration pass from the Fiji National Archives. For many people, making a trip to Fiji to view the records that are kept there on microfilm can be difficult. Also, some may have very limited family history information available to them and may not know on which ship their relative had arrived. Most of the time, you will have even more information than this, such as dates of birth, marriage, and death, but we will assume one only knows the three items mentioned above, since it is the easiest information to come across. These steps summarize how to find an emigration pass when starting with limited information. I will describe each step carefully further below. Search the Index of “Birth Registers of Indians in Fiji, 1895-1989” for a registry entry for the birth of your grandparent. Note down the registry index number associated with that birth. Using the index number, find the birth registration form. Look over the birth registration form for any clues regarding the Indian origins of the parents. Using any of the clues obtained from the birth registration form, find the appropriate ship, then retrieve its microfilm and look through it for the emigration pass. To find the birth registration of the grandparent in question, the grandparent must have been born in Fiji between the years 1918 and 1989. The closer their birth is to the year 1918, the more likely it is that his or her parents were from India. Do the following at the LDS Library. Remember to bring a USB drive with you for any scanned copies that you will make. Type “Fiji” in the “Place Name” field and click Search. 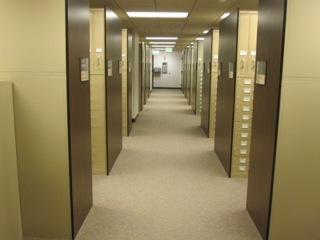 Your search should result in a long list of archives including Archives, Census, Church History, etc. Select “Birth Registers of Indians in Fiji, 1895-1989”. 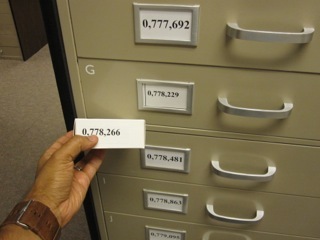 Even though births are index back to 1895, the library only has the birth registrations on microfilm for 1918 or later. Under the section labeled “Film Notes”, you will see a list of Index volumes. Select one based on the year in which your grandparent was born. If you do not know the year, start with the first index and work your way through all eight. In my case, I knew that my grandfather was born in 1929, so I searched the first index named “Index to Indian births Vols. 1- 6 1895-1929”. Note down the volume number (eg. 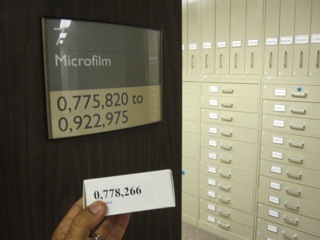 759207) and go get the microfilm. 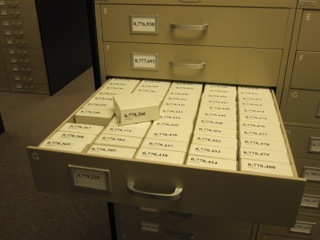 Search the microfilm by the grandparent’s father’s name. Match the grandparent’s mother’s name in the next column and, in most cases, you will be able to find the registration entry for the grandparent in question. Note down the birth registration index number from the last column (eg. 1376). Go back to “Birth Registers of Indians in Fiji, 1895-1989”. Scroll through the listing and look for the volume that will contain the index number that you noted down from the previous search. For example, if your index number is falls between 1501 and 1950, then you would need “Indian births F1501-1950 1929” which is Microfilm #755378. Get the microfilm and search for the birth registration form. The forms are sorted in numerical order. Once you find the form, read it over carefully for any clue about where child’s father and mother were from. In my case, I was very lucky. 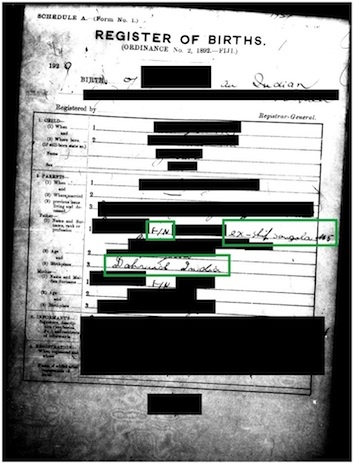 The clerk who recorded the birth also recorded the fact that the father arrived on the “Sangola #5” ship and the clerk also noted down his father’s name. In that one birth registration form, I found my grandfather’s exact birth date, the name of his father and ship of arrival, and also the name and village of his grandfather (my great-great-grandfather). In other cases, if one of the parents was from India, the girmit registration number might be written somewhere on the form. In that case, you can look up that number here and figure out which ship that relative arrived on. Note down all relevant information. To find an emigration pass for one of your Indian ancestors, you will need to know either the name of the ship he or she arrived on or his or her girmit registration number (between 1 and 60,533). 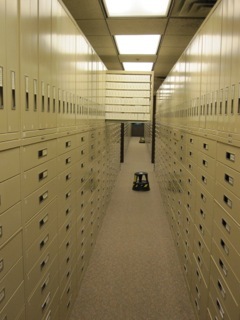 Pull the microfilm carefully off of the rollers and take it over to the digital scanners located at the front of the library. Place the microfilm onto the digital scanner and make a high resolution digital copy of the record. The example birth registration below is that of my grandfather. He was born in Fiji in 1929. The child’s father’s name and grandfather’s name are both recorded (“F/N” means “Father’s Name”). Also, it was noted that the father (my great-grandfather) was from “ship Sangola No 5”. This was the clue that allowed me to eventually find his emgiration pass using the next steps below. 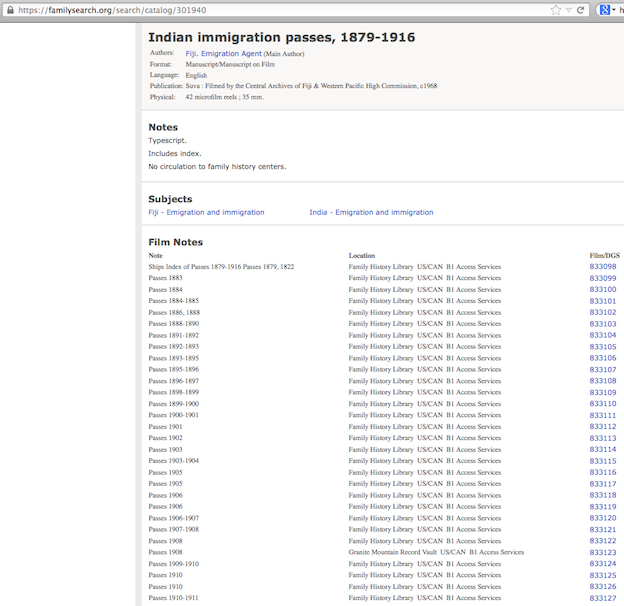 Select “Indian immigration passes, 1879-1916”. Use the list of ships (posted here) to figure out which year you need to look through. For example, I knew I needed to look through the “Sangola 5” which arrived in Fiji on March 7, 1910. So I would look through 833124, 833125, 833126, and 833127. If you’re lucky enough to have the girmit registration number from the earlier steps above, you will be able to find the ships pass very easily. Otherwise, you will have to scroll through quite a few records – but its possible. Granite Mountain Record Vault INTL Film: This means the film must be requsted from the off-site vault and will arrive at the main library the next day (see 833123 is the image above). If you request a film early enough in the morning, you may receive it that same day – but don’t count on it. Be sure to figure out very early in your visit which items you will need from the vault and fill out the necessary forms at the front desk to request them.